It is not just vines. Marion is the largest breeder of Dexter cattle (the native Irish breed) in the Western Cape. Sheep “mow” the grass between the vines. Their ducks also help. “These are hatched on our farm and trained to eat pests daily.” Lots of eggs too from the ducks and the chickens. What does she miss about County Cavan? “I miss the long bright evenings sitting out in Ireland”. Darkness falls rapidly here. Be sure and take a look at the website. Elgin Ridge is a gorgeous place, so many animals. 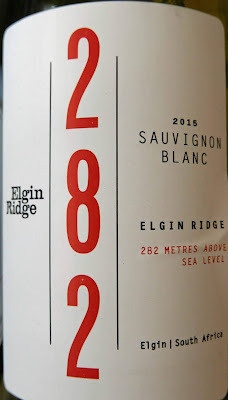 The name comes from the fact that the vines grow at 282 metres, “the ideal height to create cool climate Sauvignon Blanc in the Elgin Valley. Organic farming gives the wine its elegant and unique flavour”. The vines benefit from the cool afternoon breeze and the proximity of the ocean. Colour is a very pale yellow. Aromas of peach and apricot, gooseberry too. A vibrant wine, with a beautiful freshness, savoury yet full of ripe fruit. That palate also carries a classic mineral counterpunch and there is a satisfying lip-smacking finish. Highly Recommended. It is a good food wine, a great match with our local Ardsallagh Ash Pyramid Goats Cheese. Fish (including scallop and squid) and pasta are also recommended. Heredad de Emina Moscatel Castilla y Leon (Vino de la Tierra), 12%, Heart of Spain (Cork). This is a sweet wine, not all-out sweet by the way. It is produced from the Muscatel grape; fermentation is halted to leave a natural sweetness; no spirit is added so ABV is in the normal range. It is ideal with desserts and snacks. Colour is a light straw. Aromas hint at blossom and citrus. 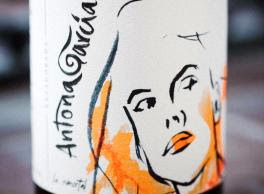 Excellent body, white and yellow fruit flavours and the natural acidity kicks in to balance. Use as they recommend (lighter desserts, though) and a glass is excellent too as an aperitif. A lovely little number and Recommended. Didn’t keep the receipt and it is not listed on their website but I think it is priced in the low to mid teens. No roast lamb in Cork but they do have expressions of the other two. 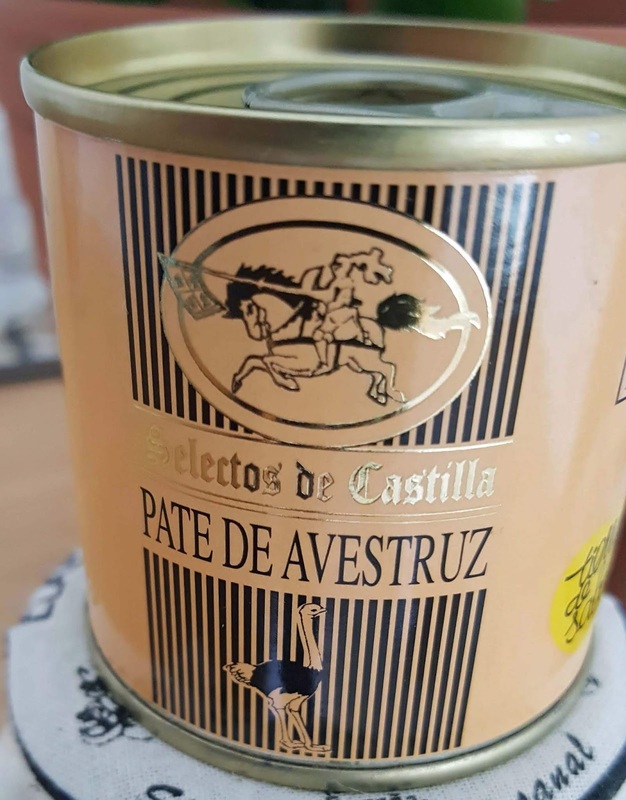 The Heart of Spain is the quality seal for Castilla y Leon´s finest food , has a special place amongst those products that bear the name, tradition and history of the farmers that have produced the ingredients they are made with. 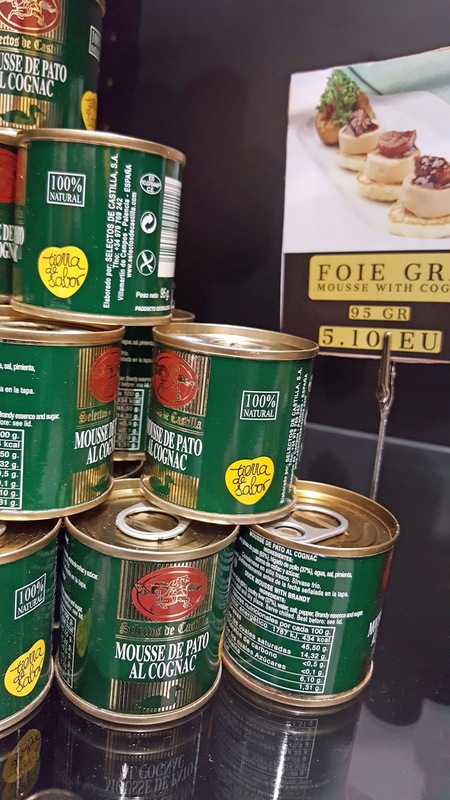 The eye-catching yellow heart seal certifies total traceability from origin, guaranteeing professionals and consumers alike clearly differentiated quality. Just to be clear, you won’t be getting food or drink here from all over Spain, just from this region and that yellow seal is stamped with Tierra de Sabor, meaning Castilla y Leon is “a land of flavour”. Take the cured meats for example. Their supplier, Chacinerías Diaz, manages the entire manufacturing process from breeding and raising their own livestock to producing their own fodder, slaughterhouse and production plant. You’ll find quite a display of sheeps cheese here for which Pago Los Vivales has been nominated twice at the World Cheese Awards between 2017 & 2018. You can get it at 6 months, 12 months (Reserva) and 18 months (Gran Reserva). Lots of patés here also, including Foie Gras, made by three French brothers who returned to their parents’ Spanish village in the summer of 1989. Not just duck. They also sell pork paté and Ostrich (the one I bought). This came in handy over the Christmas. 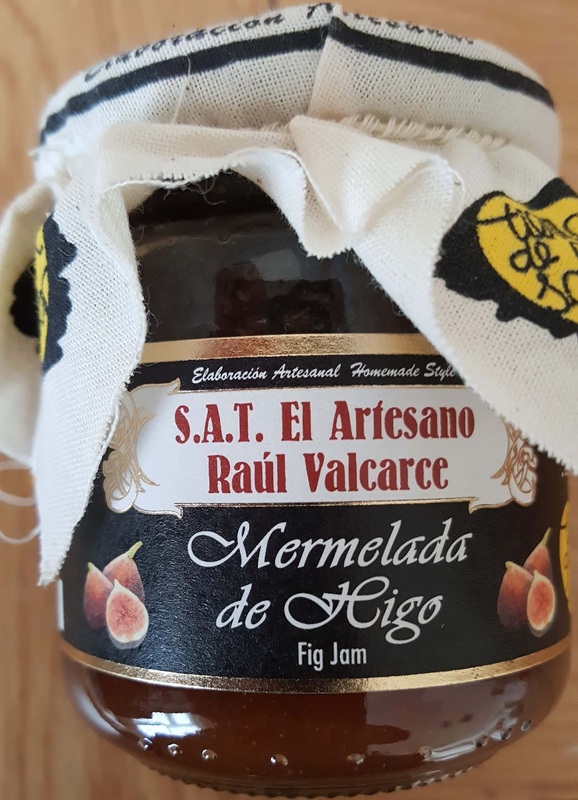 Quite a selection of jams and mermeladas too including Quince Jelly, Tomato Jelly, and a Fig jam that caught my eye. If you call there around lunch-time (from 1.00 to 3.00pm) on Saturdays, you won’t be buying blind. They serve up some lovely tapas, using the cheese and the various spreads. By the way, if you cannot make it to the store, they do have an on-line ordering facility. And they have a couple of bottles of wine open as well every Saturday, usually one red and one white. The wines are DO Rueda & Ribera del Duero and produced by Emina, based in Valladolid. Got myself a 50cl bottle of their Moscatel - also handy over the Christmas! And where there’s wine, there’s usually olive oil. And yes, they have Extra Virgin Olive Oil and also Balsamic Vinegar of various flavours. No huge selection of anything - this is not a supermarket. More like a farmers market. 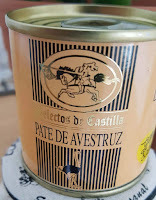 If you have a taste for the real food of Spain, then this is worth a call. 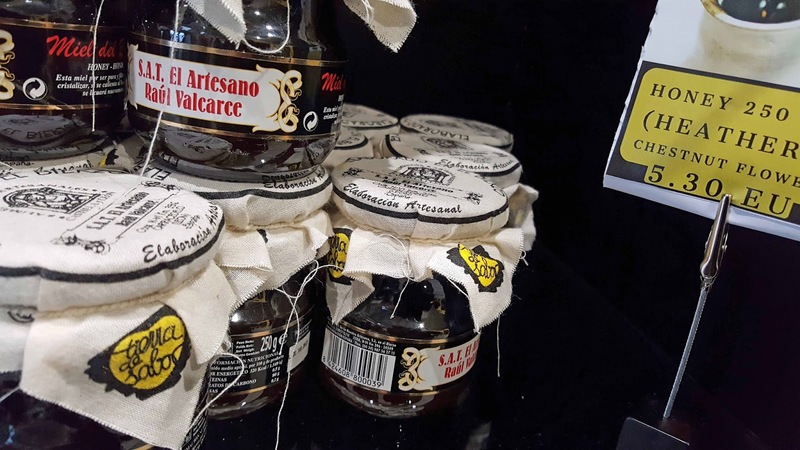 And while you are there, don’t forget that, a hundred meters away, the fantastic Bakestone Pantry has well over one hundred Irish artisan products for sale. CorkBilly’s Drinks Digest#2. Wines, Spirits and Beers. Pinot Noir a little off-colour? You need Rubired. “In the last few weeks we've received wines from the grand cru champagne house of André Clouet, a sublime organic Nero d'Avola, a bold Spanish red from Toro and too many more to fit in here.” More info online. “We are gearing ourselves up for the Christmas holidays here in the Well! Once again we will be turning our award winning beer hall into a winter wonderland. 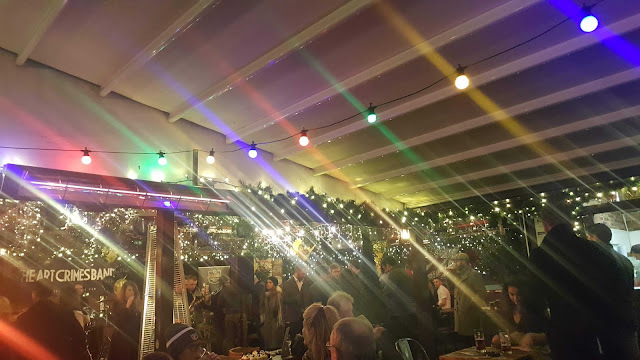 Through out the month of December we will have live music, cocktails & hot drinks from the MONK cocktail bar (as well as a new seasonal menu ) and Christmas markets! The market will run on Saturday the 8th and Saturday the 15th of December from 1-6pm. They will be run by local artists who will be selling original handmade gifts such as hats, cards, ceramic pieces, wooden cheese boards and much more! Admission is free.” More info on their Facebook. The Revolution Bar, John Street, Waterford. Check the bar’s facebook page for tickets. There was a late Late Harvest in Spain for 2018 following an early on in 2017. Ripening was delayed and picking times have turned out to be the major headache of the vintage. But it wasn’t the same all over the country. 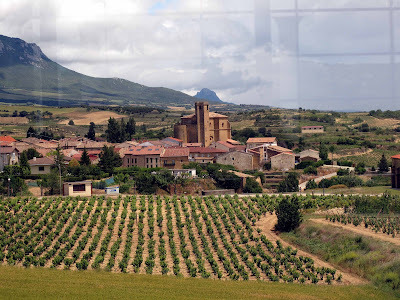 Terrific insight here from Spanish Wine Lover with no less than eight stories from around the country. Labels Battle as California winemaker used labels that carried the Oregon AVA. Then there’s the Rubired concentrate that gives Pinot Noir more colour!! The Feds have stepped into the middle of a simmering battle over wine provenance by ordering a California winemaker to change labels that carried the Oregon AVA, even though the wines were made in Lodi. Read more here. CorkBilly’s Drinks Digest: Wines, Spirits and Beers. A Wolf in Town! 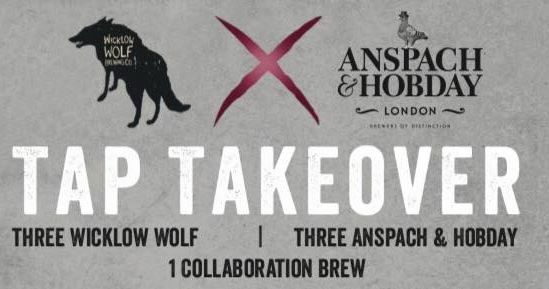 Wicklow Wolf X Anspach & Hobday (London) Tap-takeover. Tastings promos on the night! Details on the Bierhaus Facebook page. 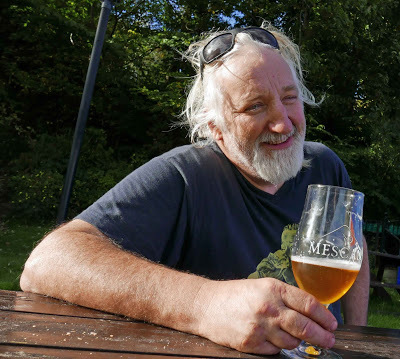 and if you want more Wicklow Wolf then you’ll find them teaming up with their friends Dungarvan Brewing Company at Dungarvan’s Merrys Gastro Pub for a 6 Course Beer Dinner, celebrating Irish Craft Beer on Friday the 23rd November. An evening of tasting 6 varieties of Spanish Wine with cheese and pates. Alejandro from Heart of Spain will present this event which promises to be a fantastic evening. Strictly limited tickets are on sale at an introductory price of €25 each. Contact Peter at 087 2908774 to purchase a ticket. Kate Barry of Barry & Fitzwilliam has been on to tell me about the terrific Villa Maria Case Deal exclusive to SuperValu. The Buy 6 Save €10 starts next Thursday 22nd November and will run until December 24th - hence this will bring it down to €60. 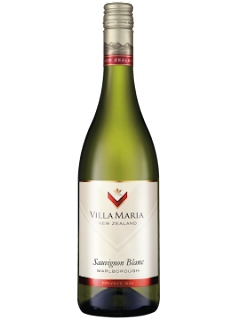 Please note the Villa Maria Case Deal is a limited offer and once it’s gone it is gone!! Mezze & wine pairings night in Ardkeen Quality Food Store. 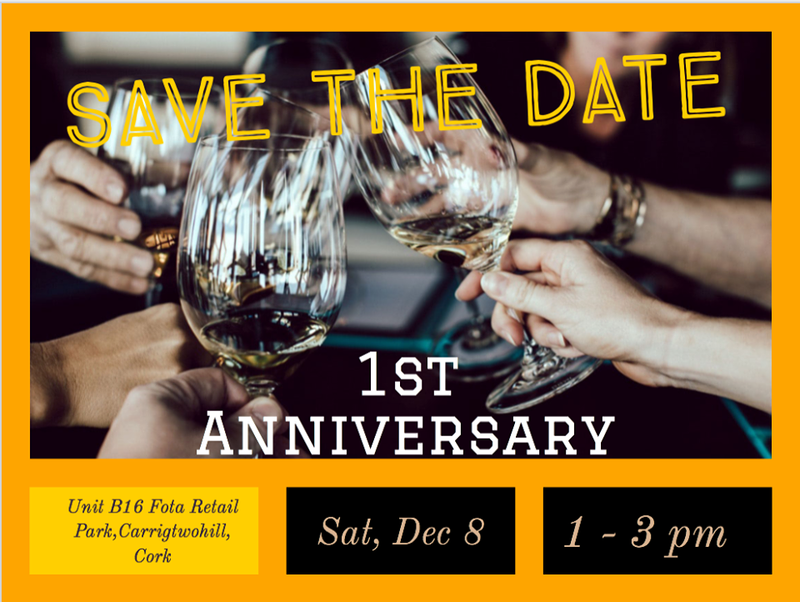 Join us at the Barista Bar in Ardkeen Quality Food Store on Saturday 24 November for a Mezze & wine pairings night. 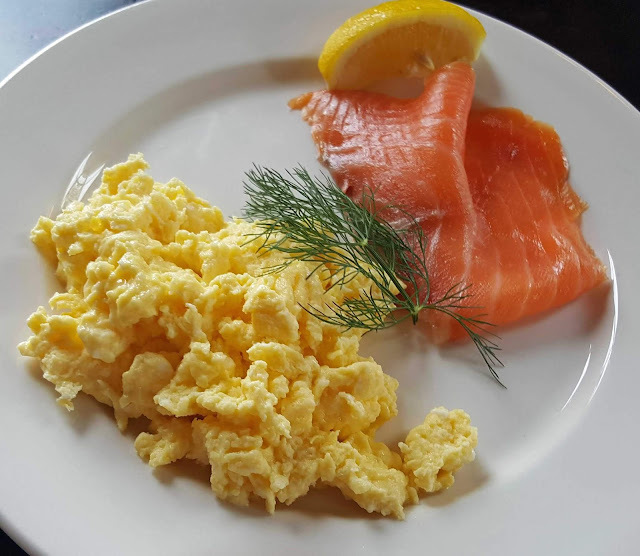 Husband and wife team Dvir and Nicola of Mezze (Waterford locals) will prepare an authentic Middle Eastern feast with shared plates using the amazing locally sourced produce from Ardkeen Quality Food Store. Experience casual authentic Middle Eastern dining, ideas of how to use local produce to prepare bright and vibrant foods, and learn which wines work best with Middle Eastern flavours - all chosen by resident expert Julie Ward. Tickets include 4 course vegetarian meal with wine tastings and must be purchased in advance. Les Gourmandises have a Malbec wine & dinner on November 27th (7.00pm); details on their Facebook page. Premium Irish whiskey tasting and 4 course tasting menu at Cronin’s Pub. 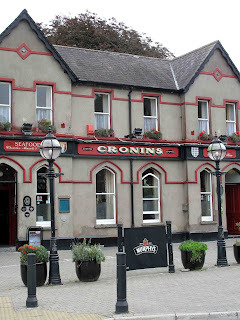 "Join us in Cronin's Pub, Crosshaven for a premium Irish whiskey tasting and 4 course tasting menu. We will be joined by Irish Distiller's whiskey ambassador Michael Cowman. Each whiskey will be paired with a specially prepared tasting menu from the Mad Fish Kitchen at Cronin's Pub. Be amongst the first to taste the newly launched Red Spot, 15 Year Old Single Pot Still, which was discontinued in the mid-1960s and now rejoins Green Spot and Yellow Spot in Irish Distillers’ Spot Whiskeys range. It has been created using an old recipe handed down by the Mitchell & Son family of wine merchants, who created the original Spot Whiskeys in the early 1900s. We will be tasting this alongside Yellow Spot 12 Year Old. This will be a night to remember! Starts at 7.30pm. Tickets must be purchased in advance." “Delighted to announce the release of our Christmas beer, Beoir na Nollag! We made a version of the beer 3 years ago and it was a huge success. This year's beer follows the theme but it's a new recipe. It's a strong dark beer 8.8% which was brewed in the spring and was cold conditioned in bulk for 6 months before transfer to Irish Whiskey casks for 2 months of barrel ageing. It was then dry hopped and bottle conditioned. The flavour profile is malty, with dry fruits, warming alcohol and sublte notes of whiskey, wood and hops. Over time it will demonstrate an evolving complexity as it matures farther in the bottle so it's a beer that can be enjoyed now or cellared for later drinking.